By: Jonathan H. Cole, P.E. "Among the Truthers," would be like. second clue as to its contents. "There were a lot of nights when someone would go off on revolutionary rants, and we would be all rah-rah and get excited. At the time, I smoked a lot of pot with those guys. If you’re doing it everyday and watching propaganda, you're not going to be exercising your critical facilities." What? I had to put the book down and look for my boots, as it was getting deep. I was a little ticked off, not so much for the obvious mischaracterization; but rather, if true, why I was never invited to any ranting "truther" events. When I started to educate myself, I simply signed a petition calling for a new investigation and conducted a few experiments to demonstrate what is, and what is not, physically possible. Not once was I invited to any dark underground pot smoking rah-rah meetings. I guess I am just not on the “Truther A-list.” Certainly, if such exciting revolutionary rants really do take place, it might explain why the truth movement is growing. According to Kay it is not the rah-rah parties for the growth of the truth movement, instead, it’s something deeper and far more sinister. It’s so deep, that the average person that I know who questions the official 9/11 tale is not even aware of their “problem.” Kay’s book would help explain a puzzle, but not the puzzle of how the twin towers or Building 7 fell, while not violating physical laws. Rather, he outlines what he considers is this puzzle: What’s wrong with all those architects, engineers, scientists, researchers and thousands of others who place more faith in the fundamental laws of physics than the official 9/11 story? I was once a “believer” in the official story, totally ignorant of the unexplained evidence and its violations of fundamental laws; "niggling anomalies" as Kay calls them, for over six years. I had my "uh-oh" moment late in 2007 when a friend, knowing that I was a nerdy engineer, forwarded a video that focused on the twin towers’ fall. The shock reminded me of when I learned the sad truth about Santa Claus. Like all children, I had sat on Santa’s lap and seen evidence everywhere, convinced of his existence. How could millions of parents coordinate and keep this huge lie under wraps? Regardless, physics tells us that reindeers cannot fly and that same understanding of science confirmed the unfortunate truth of 9/11, the more I researched. Like the evidence of iron micro spheres found in the dust indicating temperatures hot enough to melt iron had to have been reached, yet the office and jet fuel fires were way too cold to perform that feat. The downward acceleration of the North Tower’s roof with no “jolts,” meaning that a force far less (not more) than its static weight was imposed on the undamaged tower below while the upper “block” of floors accelerated down, that remained unexplained. The evidence of sudden free fall of WTC 7 for over 100 feet indicates that some other force had to remove all the supports first. Nor was the evidence melting of steel beams found by a WPI professor or the sulfur source that created eutectic formations explained. And, of course, evidence of active nano-thermite, a high tech explosive found all through the dust. What was that stuff doing at Ground Zero? Alas, Kay totally avoids all scientific evidence from the outset referring the reader to the National Institute of Standards and Technology or NIST Reports, "debunking websites" and the 9/11 Commission Report for answers to those and dozens of other critical “niggling anomalies.” Kay peddles the notion that only "the credentialed intellectual establishment" are “true experts" having the capability to comprehend the meaning of such complex matters like a falling object or melting of steel. What he neglects to tell the reader is that none of his “credentialed intellectual establishment” ever addressed the above-mentioned evidence, or dozens of other problems with the official story. It would be as if Kay travelling back to the early 1600’s, avoided all Galileo's observations of planetary motions that bought him to question the official geocentric universe. Rather than address the evidence, Kay would psychoanalyze Galileo and his followers’ personal habits and beliefs in an effort to “understand” why Galileo dared to consider such blasphemies. No doubt Kay would simply dismiss his planetary anomalies stating the science has been settled for well over 1000 years, and referred the reader to Ptolemy, the Bible, Aristotle and "the credentialed intellectual establishment" for answers to that heretic’s niggling observations. Once Kay sidesteps the key evidence, which is at the very heart of the truth movement, he is now free to offer his journalistic psychology lesson that outlines why those who trust scientific laws rather than the official story need to be diagnosed and stopped. "Diagnosing and fighting conspiracism is an important project which is why I wrote this book,” says Kay. Evidently, honestly addressing the unanswered scientific evidence about the three largest structural failures in history and the murder of almost 3000 innocents on Sept 11 is a far less important project. Despite the fact that a growing number of architects, physicists, researchers and chemists specifically do not get into the “who done it” nefarious cabal issues, Kay devotes considerable time smearing Richard Gage, AIA, physicist Steven Jones, and Gregg Roberts an independent 9/11 researcher, by outlining some “midlife crisis” or perhaps workaholics living all alone with “dark visions.” Kay places “truthers” in categories such as “damaged survivors,” “firebrands” or “cranks,” where some may be “prone to rambling.” Since Isaac Newton never married and was a workaholic who focused on some rather unorthodox concepts in the 1660’s; he would also fit nicely into one of Kay’s psycho-categories. Kay dedicates the early chapters to a "brief history of conspiracism,” including discussions on the Illuminati, Freemasons, KKK and the John Birch Society. Kay weaves in reptilian lizard people, UFO’s, extraterrestrials, and others, for his not so subtle goal of linking those physicists, architects, chemists and engineers who enlighten us about the serious questions of 9/11, with some of the more “out there” theories. To Kay's credit, he rightfully acknowledges that the average “truther” is nonviolent, with above average intelligence, and many with technical degrees or Ph.D.s. He also says he is not suggesting they harbor any hatred or are explicitly racist or anti-Semitic. Nevertheless, "they are still conspiracists and the threat currently posed by modern conspiracists is not physical, but cultural." Accordingly, he says, "It’s a trend that every thinking person has a duty to fight." However, the thrust of the book is really about how “anti-Semitism” links to “conspiracies.” “…ancient forms of conspiracism typically vilified one of two enemies: Jews and secret societies.” Virtually every chapter is filled with the worn out "anti-Semite" slur and the “anti-Semitic conspiracy theorist” card is played, intended to place guilt by association on anyone who dares to honestly question 9/11. "Not all conspiracy theorists are anti-Semitic. But all conspiracy movements--all of them--attract anti-Semites.” according to Kay. So anyone who ever wondered about our perpetual debt and who really owns the Federal Reserve, or those who think it is a little odd that active nano-thermite was found all through the WTC dust, is now somehow linked to “anti-Semitism.” It is a wonderful tactic that can be used on any entity that one wants to vilify, without ever really addressing the questions. For example, would you like to demonize those of us who think the Second Amendment is important? Just say: Not all gun owners are child murderers. But all children killed by bullets--all of them--were killed by a child murdering gun owner. Perhaps you don’t like to hear the fat lady sing? Simply mention: Not all church choir members are overweight. But all church choirs--all of them--attract overweight people. What Kay is suggesting of course, is that anyone even thinking about violating a social norm or asking intelligent questions about official explanations like Galileo did, could be, and probably should be tarnished as a potential “anti-Semite” in an effort to silence them. Kay also dwells on something called “The Protocols of the Learned Elders of Zion.” I never heard of them. Evidently they are a list of secret Jewish goals that are used to explain events and a “document that would become the most influential conspiracist tract since the era of the French Revolution.” What they, or anti-Semitism has to do with studying the evidence or the laws of physics, remained unexplained. Kay is just a mainstream pitchman, insisting that our government and the mass media’s explanation of 9/11 must be true because those in leadership positions would never conspire to undertake or hide illegal events. This belief is their bedrock, no matter what evidence rears its ugly head after it was “officially” explained and regardless of how many laws of physics are violated. For example, at the beginning of each AE911Truth presentation, Richard Gage, AIA, asks the audience how many believe in the official story and then asks the same question at the end. The vast majority in the audience “switches” or at least questions the official story once they hear the scientific evidence. Not Kay. “I’ve heard Gage speak three times in three different cities,” says Kay. “Before beginning his presentation in Montreal, Gage had polled the crowd on their views. Five people, including me and my guest, said they believed the official story of 9/11.” “Once Gage had finished, he conducted a second poll. This time, when he asked how many people supported the official theory, mine was the only hand raised. Shocked, I cast a glance at the friend sitting beside me. After three hours in a room with Richard Gage, she’d changed her vote to “not sure.” Ever the pitchman, apparently only Jonathan Kay thrust his hand skyward enthusiastically supporting the official story, despite the conflicting scientific evidence presented. Kay is an intelligent man and one would think that with his background in metallurgy, he would wonder just a little about those iron microspheres, eutectic formations or why all that active nano-thermite was found in the dust. “The idea that the 9/11 masterminds are sufficiently powerful to control the reporting of thousands of different American news outlets as well as stifle after the fact disclosures from hundreds of active conspirators, is farfetched,” according to Kay. First, it’s a known fact that the ownership of the media has been concentrated to a handful of powerful individuals over the last 50 years. For example, Rupert Murdock, a strong supporter of the wars, controls over 175 papers and Fox News, who is strangely quiet about the alleged hacking of Americans phones and possibly even 9/11 victims to gather intelligence or bolster revenues. Secondly, just like parents really don’t conspire to hide the truth about Santa, it’s natural for most that work for the media, if they want to keep their job or avoid being found dead like journalist whistle blower Sean Hoare, to ignore or stifle uncomfortable evidence. Finally, it really doesn’t matter what one thinks is “farfetched,” because “farfetched” is still possible. Yet freefall, nano-thermite, iron microspheres and many other “niggling anomalies” are totally impossible, blowing the official story wide open. Jonathan Kay has difficulties understanding why "conspiracist causes can gain strength even when mainstream journalists seek to tackle the underlying subject in a professional and objective way." Maybe it’s because mainstream journalists do not treat the subject in a professional and objective way. Based on my own experience, in order to understand the erosion in confidence of the mass media, Kay ought to watch the BBC production called The Third Tower. The BBC told us “the claims of the mysterious melted steel from tower 7 have been unraveled.” “The sulfur came from masses of gypsum wall board that was pulverized and burned in the fires.” Not only is the formation of sulfur or iron sulfide from calcium sulfate chemically impossible in an open air fire, but an experiment I conducted with gypsum around a steel beam heated to similar temperatures proved the BBC and the debunking sites, dead wrong. Or he should watch the PBS documentary, “Why the Towers Fell,” that clearly told us they fell due to a "pancake collapse,” (which Kay parroted in a radio interview) complete with cartoon graphics demonstrating the fall of the tower floors and roof; but which left the core columns standing. Years later, when NIST finally managed to get to the initiation of collapse (but were “unable to provide a full explanation of the collapse”) they stated that the towers were not a pancake collapse, contrary to what PBS clearly told its viewers. Likewise, the National Geographic “Science & Conspiracy Part 5” conducted an experiment with thermite in order to “prove” that thermite could not melt steel. Kay’s favorite debunking website said it could not cut a horizontal column. Moreover, the mainstream program Mythbusters could not melt through the thin roof of a car with a half of ton of thermite. Yet all three media sources were proved wrong by experiments demonstrating that indeed even crude thermitic material could slice through a column using much smaller quantities. With portrayals like these proven to be total lies, no wonder the mass media has lost our respect. It is the media’s fraudulent misrepresentation of the facts that is eroding confidence, not because of any “anti-Semitism” of the viewers. Kay tells us that ". . . there is no fact, historical event, or scientific phenomenon whose truth cannot, in some way, be brought into question by an inventive mind on the hunt for niggling "anomalies.” Here again, Kay is wrong. There are many significant historical events where there are no “inventive minds” hunting for “niggling anomalies.” Examples include the Columbia and Challenger space shuttle accidents, the Hindenburg disaster, and the death of Joe Kennedy, Jr. in 1944. Jonathan Kay does not contemplate that it’s not “anti-Semitism”, but rather significant evidence and facts that are contrary to the official story which leaves us begging for answers. When left unanswered by “the credentialed intellectual establishment,” of course it gives rise to "conspiracy theories” in an effort to explain the evidence. We may not know exactly who did it or how things were done, but we do know that the laws of physics prove the official story wrong, just like we know that 2+2=4. His “obvious evidence” is his mainstream mantra relying on “the credentialed intellectual establishment” or absurd statements like “someone would have talked” as if state secrets, highly classified information and military operations are routinely blabbed by those involved. On the other hand, the “obscure incriminating oddities” include total impossibilities such as the absolute freefall of WTC 7 for over 100 feet (impossible with a gravitational collapse), the melting of steel (impossible with an office fire), the lack of deceleration or jolts (necessary to impose a load in excess of its own weight in order to crush the lower undamaged portion of the towers), and the high tech nano-thermite, that is impossible to form naturally due to entropy laws. The real reason that Kay and his “credentialed intellectual establishment” cannot win any debates is because the “truthers,” made up of thousands of architects, engineers, researchers, and scientists who are “normal articulate people who keep up with the news and hold down office jobs,” are right. Because despite all the name calling of anti-Semites, tin foil hatters, “twoofers”, “conspiracy theorists” and desperate efforts to spin those who question 9/11 in a negative light, Kay and the intellectual establishment simply cannot convince us that 2+2=5. I don’t think that much could be more Orwellian than Kay’s “anticonspiracist curriculum” and indoctrination program run by journalists to “protect the brains” of our students so they don’t get “infected” by critical thinking looking at those “niggling anomalies”. Kay wants you to trust authority because he says they are the “true experts,” and not to bother to research or think on your own. But history has proven time and again, that authority simply cannot be trusted. The great physicist Albert Einstein knew this well stating, “Unthinking respect for authority is the greatest enemy of truth.” Perhaps Einstein was an anti-Semite. Kay provides a quote by Harold Macmillan, former Prime Minister of Britain that is most appropriate for this book: “That if you work hard and diligently you should be able to detect when a man is talking rot. And that, in my view is the main, if not the sole purpose of education.” I encourage everyone to educate themselves on the science of 9/11, that proves the twin towers and WTC 7 could not have “collapsed” by gravity and fire alone, so you can detect when a man is talking rot. Investigators normally encourage people to step forward and offer tips for much smaller crimes, and only one minor “niggling anomaly” can dramatically change the outcome. For some reason that same encouragement to step forward about 9/11 is absent, as those highlighting mountains of unresolved scientific evidence are ignored or attacked as “conspiracy theorists” or worse. America is deep in debt and spent over a trillion more on security and wars using 9/11 as the excuse. Why wouldn’t any person with morals want to look at the evidence or spend a relative pittance on a truly independent investigation in order to resolve the unanswered questions? The devil is always in the details, and maybe those who don’t want to look at the details of 9/11, just may have some link to that devil. The rise of the truth movement with legitimate questions is not “a trend that every thinking person has a duty to fight” as Kay wants you to believe. Rather, using our founding fathers’ wisdom as a guide, it is every citizen’s duty to question the government in order to prevent it from naturally slipping ever closer toward tyranny, especially about events that murdered thousands, brought us endless war and debt, and restricted individual liberties--like that of 9/11. If you decide to take this journey with Jonathan Kay I suggest you wear hip boots, since this is one book that can be judged by its cover. as he surely deserves to read and be clobbered with realistic assessments with supporting arguments of his silly little book. Tony Szamboti on Fri, 07/22/2011 - 2:10am. Even better, you or Jon Cole should challenge Jonathan Kay to a public debate. Since he attends so many truther events why not ask him to stand-up and defend his viewpoints publicly? p.s. The July/August issue of Skeptical Inquirer is devoted to the "9/11 Conspiracies". I noticed that Dave Thomas has an article in it. Are you planning on writing a reply? tanabear on Fri, 07/22/2011 - 11:13am. Kevin Barrett and Barry Shainbaum, who have both hosted Jonathan Kay on their respective radio shows in the past, to tell them I would like to debate Jonathan Kay regarding the scientific/engineering aspects of the building collapses in NYC on Sept. 11, 2001. I asked them to contact him about it. I said that Kay can't simply point to NIST as the definitive answer as they have admitted they can't explain the complete collapse of the towers. I want Jonathan Kay to explain the lack of deceleration of the north tower and the freefall of WTC 7 as well as several serious problems with the NIST reports regarding initiation in both buildings. I seriously doubt that Kay will debate. He seems to just want to call attention to perceived eccentricities in people he doesn't agree with rather than attempting to refute their arguments on a serious issue. As for the Skeptical Inquirer, new issues aren't on the Internet from what I understand, and I have no idea where to get it, so I haven't read Dave Thomas' article. If the article concerns his attempt to provide a natural cause for the lack of deceleration in the north tower, where he tries to say the north tower fell in freefall punctuated by brief unobservable decelerations which caused an average acceleration of 2/3rds of gravity, then I already explained publicly why he is ridiculously wrong there at the AE911Truth mock debate at the National Press club last September. Freefall cannot occur during column buckling and right there Thomas' argument is shown to be ridiculous on its face. Tony Szamboti on Fri, 07/22/2011 - 9:03pm. Joe on Fri, 07/22/2011 - 9:18pm. I previously replied to this post to provide an exact link to the Kevin Barrett 90 minute interview with Jonathan Kay, but my reply has been removed. Is providing a direct link a violation of posting rules. or what? Please clarify. phredo on Mon, 07/25/2011 - 1:29pm. phredo on Mon, 07/25/2011 - 11:22pm. They have Skeptical Inquirer at Barnes & Noble. I picked up a copy of it last week. Yes, his argument for the collapse of the North Tower is that there was free-fall between floors and deceleration when the floors impacted each other coming out to an average of 2/3rds of g. I noticed that his explanation differs somewhat from Bazant who posits a crush-down crush-up. It would be nice if they could get their stories straight. tanabear on Sat, 07/23/2011 - 12:15am. deceleration have in common is that they are both seriously erroneous and impossible. Canadian professor Richard Johns and I did respond to the January 2011 Journal of Engineering Mechanics article by Jia-Liang Le and Zdenek Bazant, where they attempt to justify the smooth motion history of the North Tower as being consistent with a natural collapse. Their paper has several serious errors which when corrected show a serious deceleration should have occurred during the first several impacts between floors if it had been a natural collapse. Our Discussion was submitted on May 31st and has been with an editor since June 2nd. I am sure Zdenek Bazant and Jia-Liang Le know about it as the Journal of Engineering Mechanics publishes Discussions with Closures, so Le and Bazant are being given an opportunity to reply to our Discussion of their paper. I can send you a copy of our Discussion and Bazant's January 2011 paper if you send me your e-mail address. My e-mail address is tonyszamboti (at) comcast (dot) net. Tony Szamboti on Sat, 07/23/2011 - 6:11am. Jonathan Kay has a blog on this topic, and sure enough, he posted my review. Jon Cole on Tue, 07/26/2011 - 10:50am. I guess we're all part of the "Cult of Newton"
Having lived with gravity for over 51 years, and paid attention to what it can and can't do (as well as what I can and can't do with it), I often have to laugh when folks suggest that understanding gravity on earth is some kind of belief system or something. LeftWright on Tue, 07/26/2011 - 3:47pm. 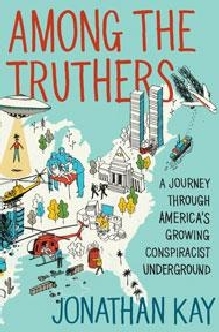 post this really good review of Kay's book and background from Debunking 9/11 Debunking, on his blog for some reason. Jon Cole on Thu, 07/28/2011 - 2:20pm. Those in the mainstream media have such contempt for the 9/11 Truth movement that they simply cannot bring themselves to even look at the evidence. The debunkers do look at the evidence to some degree but they make dishonest arguments in support of the official theory. The mainstream media can't even do that. In many circles it is fashionable to be ignorant on certain topics. 9/11 just happens to be one of those topics that respectable people can't even bring themselves to look at. Only crazy people are interested in examining and asking questions about the greatest mass murder in US history. And who wants to be crazy? I became convinced of this when watching a Nightline presentation on a 9/11 Truth conference. Nightline is one of the more prestigious and respected news programs in the world. I would assumed that they would have done a modicum of research even on 9/11 Truth. I was wrong. I remember Chris Bury, the Nightline reporter, was commenting on the Loose Change documentary. He said, “Their film pedals some largely discredited arguments claiming that jet fuel was not hot enough to melt the steel structures..." I was shocked when I heard that. That argument is not discredited at all. NIST, in their FAQ, apparently makes the same discredited claim. "In no instance did NIST report that steel in the WTC towers melted due to the fires. The melting point of steel is about 1,500 degrees Celsius (2,800 degrees Fahrenheit). Normal building fires and hydrocarbon (e.g., jet fuel) fires generate temperatures up to about 1,100 degrees Celsius (2,000 degrees Fahrenheit)." Journalists and reporters are so ignorant of 9/11 that they don't even know what the official explanation is. Why not look into it? Because only the mentally unstable do stuff like that. I know some people in the 9/11 Truth community criticize other truthers for playing fast and loose with the facts and promoting speculative theories. However, compared to the mainstream media we do a pretty damn good job. tanabear on Fri, 07/22/2011 - 10:46am. Sitting-Bull on Fri, 07/22/2011 - 12:49pm. Thanks Sitting-bull. Yes, no doubt it’s long. I posted a much shorter version on amazon.com. That’s where I hope to have the "average Joe" read it, who is not as familiar with the topic as those on this forum. As for the repetition of the key evidence…it was intentional. You guys "get it" the first time. But for the “average Joe” I wanted to drum it in so they don t forget it and would hopefully wonder a little about that odd nano-thermite and freefall. They say repetition is the key to getting the point across…sort of like Kay did in his book with all his anti-Semitic stuff. Hopefully I didn’t over do it. Jon Cole on Fri, 07/22/2011 - 5:50pm. carefully crafted, germane and salient throughout and I don't think it was too long at all. 911Peacenik on Sat, 07/23/2011 - 8:08pm. What is Jonathan Kay's *motivation" for releasing this hit piece? What is Kay so afraid of, to focus so much attention on a section of the population who have neither executive power nor mainstream media coverage? Who is Kay so eager to protect, and why is he so reluctant to discuss the issues in a public forum, given his apparent "expertise"? From Jonathan Cole's (very well written) review, Kay's book sounds more like a subtly disguised hate piece (as well as a hit piece), by his constant, repetitive use of "anti-semitic" slurs, aimed at those who dare question the official fairy tale? bloggulator on Fri, 07/22/2011 - 2:22pm. New Century. New Agenda. Same Technique. Officially sanctioned bigotry has always been present. And once sanctioned, there are always those who step forward to teach and enforce the bigotry. I see Kay's book very much in line with the numerous books written in the last century intended to promote the belief that blacks were inferior to whites. New century. New agenda. Same technique. In this sense, Kay's book is a hate piece. ConcernedCitizen on Fri, 07/22/2011 - 2:59pm. peacefulwarrior on Sat, 07/23/2011 - 8:57am. .never mind. tried to make a joke about "uniformed" but realized it wouldn't apply. jnelson on Sat, 07/23/2011 - 3:56pm. I may not agree with everything, and it would have been productive to widen the critique of the official account beyond the boundaries of collapsing buildings, but your writing style is eloquent, pleasant, soothingly rational and unforgivingly sincere. I have read many, many hit pieces over the years and I've discovered a similar style in most of them. The common denominator is the astonishing resourcefulness in cloaking hate speech as "rational skepticism". Techniques used by the likes of Kay represent the pinnacle, the avantgarde of demonization, belittling and toxic, hate inciting ridicule, working on the very edge of what is still deemed socially acceptable language to use. The objective is to ostracize and isolate by stigmatization, because the battle, as always, is for the mind and the minds of the masses are susceptible to conformism. We should be on the attack. Obviously, what stands out in Kay's case is how he gets a pass for not even making the effort of actually debunking anything, Kay just celebrates the growing stupidity and disinterest for technical subjects by ignoring them and completely focusing on his layman malicious psychoanalysis and deprecatory ad hominems instead. That is unacceptable. And lazy of Kay as well. However as heartened as I am with this roasting of Kay, a neo-conservative lapdog, a yellow journalist hack, a gutless, greasy, two-faced fawning mouthpiece for the neocon establishment who makes savage dishonesty look like a virtue ....... As long as this activist movement continues to tolerate the fringe within its ranks, continues to tolerate falsification-speculation, (I don't believe what happened, therefore my favorite fantasy is true instead), continues to tolerate violations of the historical method, journalistic method, scientific method, allows fallacious thinking and cognitive biases to cripple its message and its findings, it will be too weak to take the offensive and act instead of react. SnowCrash on Tue, 07/26/2011 - 9:49am.